David Rowland, senior vice president of finance at Accenture (NYSE: ACN), has been promoted to chief financial officer and will succeed Pamela Craig on July 1. Craig will then retire from the consulting and professional services firm Aug. 31 after a 34-year career there, Accenture said Thursday. The company announced the succession plan on the heels of releasing its financial figures for its second quarter of fiscal year 2013 (click here for more on the company’s performance). 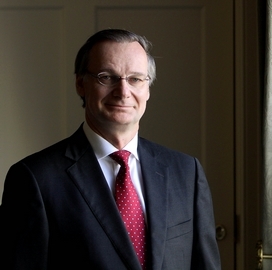 Pierre Nanterme, chairman and CEO, credited Craig with building a finance organization and contributing to the company’s growth during her career. “It has been my pleasure to work with her over the years, especially since becoming CEO, ” he said. As CFO, Craig oversees functions such as treasury, tax, investor relations, transaction services, among other areas. Institutional Investor selected Craig to its All-America Executive Team list for 2012. Rowland, a 30-year company veteran, currently leads 3, 500 finance professionals that focus on client finance, country controllership and finance activities of operating groups and growth platforms. Prior to his current position, he served as managing director of finance operations for five years and led also led corporate planning and forecasting functions, as well as reporting and analysis. “David brings to the role long-standing financial and operational leadership at Accenture, and has a deep understanding of our business, ” Nanterme said. Rowland also serves on the company’s global management committee and serves on the board of directors for Avanade, a joint venture of Accenture and Microsoft (NASDAQ: MSFT).